We may not have Sweethearts Conversation Hearts this year, but we do have a huge variety of other delicious, heart-shaped confections. So embrace the ubiquitous Valentine shape, because there are some delicious sweets out there for you. 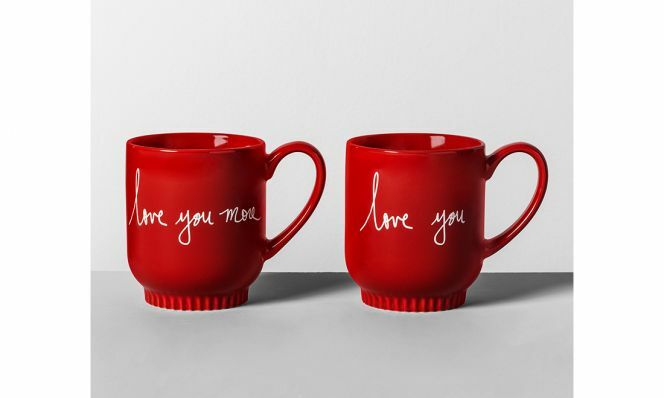 Err…for your sweetheart. Yeah, for them. Hotel Chocolat is a newcomer to the U.S., and you should definitely introduce it to your significant other. 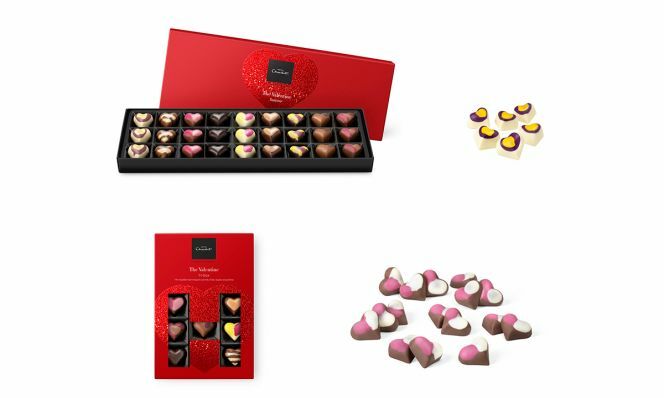 The 27-piece Valentine Sleekster Chocolate Box is a gorgeous showcase of some of the company’s classic flavors: caramels, fruits, pralines and (packs-a-punch) tipples. But the 14-piece H-box hits the highlights as well. Both are designed to share with at least two of each flavor. Or try a 6-pack of single-flavor hearts like passion fruit, salted caramel, or champagne. Not a fan of fillings? Go for the melting hearts, which come in milk, dark, and strawberry white chocolate. If you’re deeply in love with your Valentine, you need See’s Candies limited-time deep dark chocolate truffles. And if you’re hot for your Valentine, go with their hot hearts. 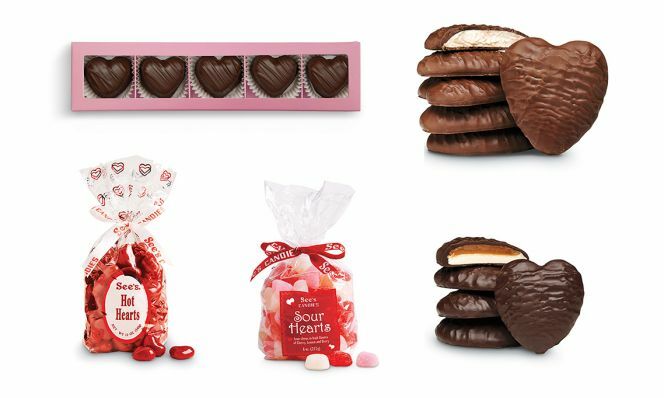 Or treat yo’self to sour hearts, milk chocolate–covered honey-marshmallow hearts or dark chocolate–covered scotchmallow hearts, which have a caramel layer. If you’re sweet on a sour-lover, go for the adorable pink and red Sour Punch Hearts. 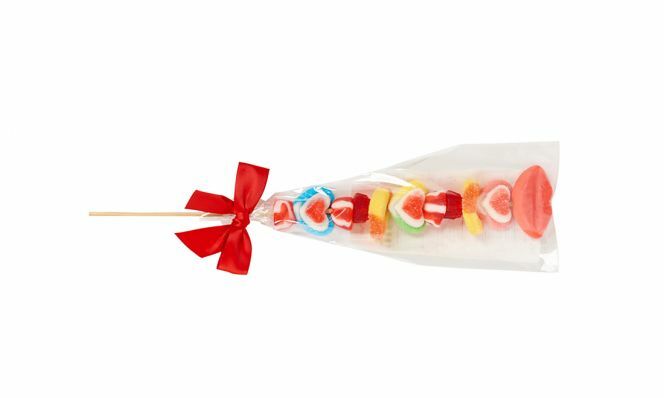 If your true love prefers non-sour gummies, give them a whole skewer full of gummies with Dylan’s Candy Bar Gummy Kebab. Fat-free (and gluten-free) Valentine’s treats? You betcha! 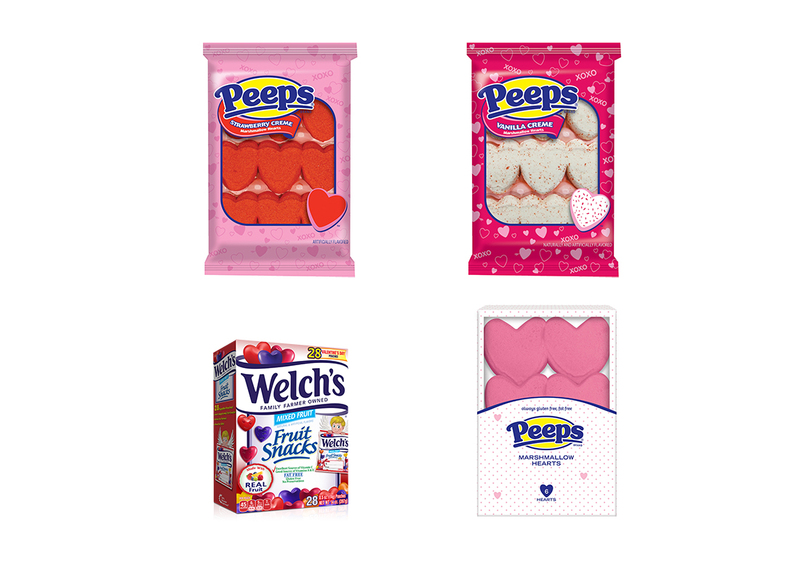 Indulge in heart-shaped Welch's Fruit Snacks or a bunch of holiday Peeps. Marshmallow Hearts, 2-count package, $1; 6-count package $1.79. 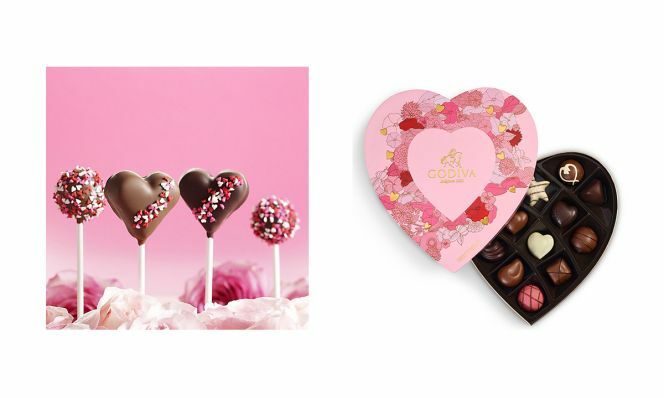 Godiva has a store-only Fudge Heart Pop that will prove that you did some in-person shopping. 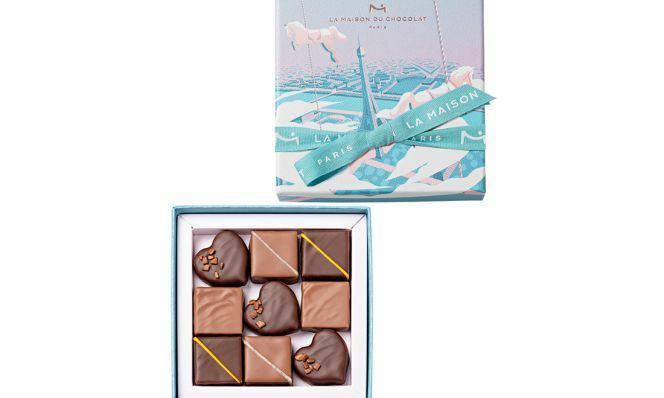 But you could just as easily impress with the 14-piece gift-box with white, milk and dark chocolate hearts, available online and in stores. 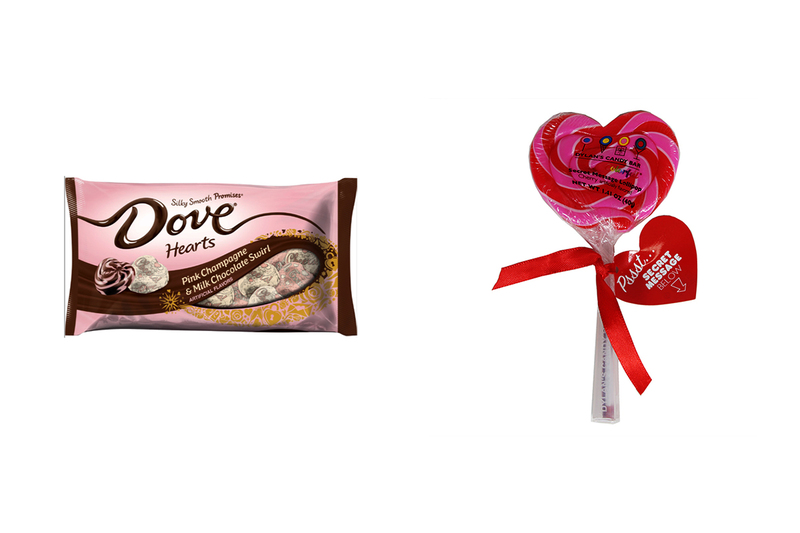 At stores nationwide, Dove offers a heart-shaped version of both its classic milk chocolate and dark chocolate as well as a milk-and-dark swirled heart. And Target has an exclusive Dove Pink Champagne Heart which swirls the pastel champagne chocolate with milk chocolate. Target also carries a Dylan’s Candy Bar exclusive: It’s a cherry lollipop with a secret message in the handle. Confess your crush with a heart they can truly hold in their hands. 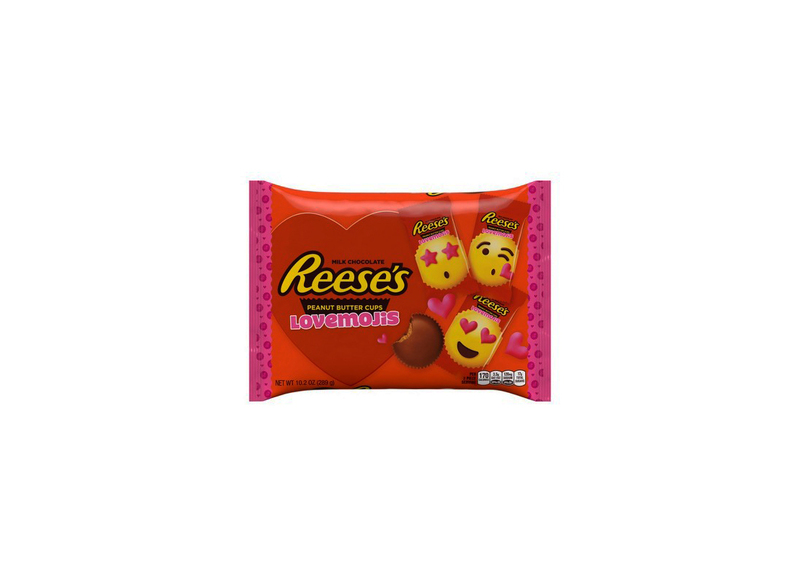 Reese’s is doing mini foil-wrapped hearts and snack-size Valentine’s exchange hearts (they have a little To/From window you can write on). They taste the same as regular Reese’s peanut butter cups, but you should probably buy both to be sure. Find them in stores nationwide.